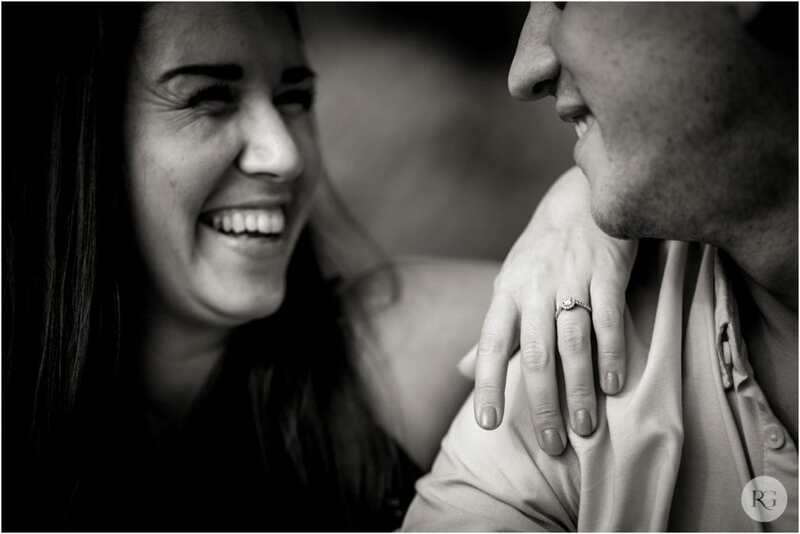 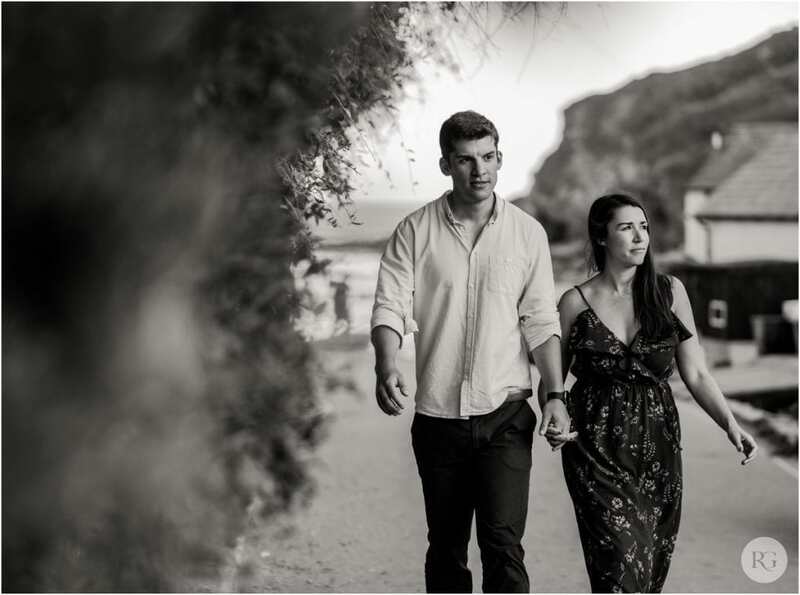 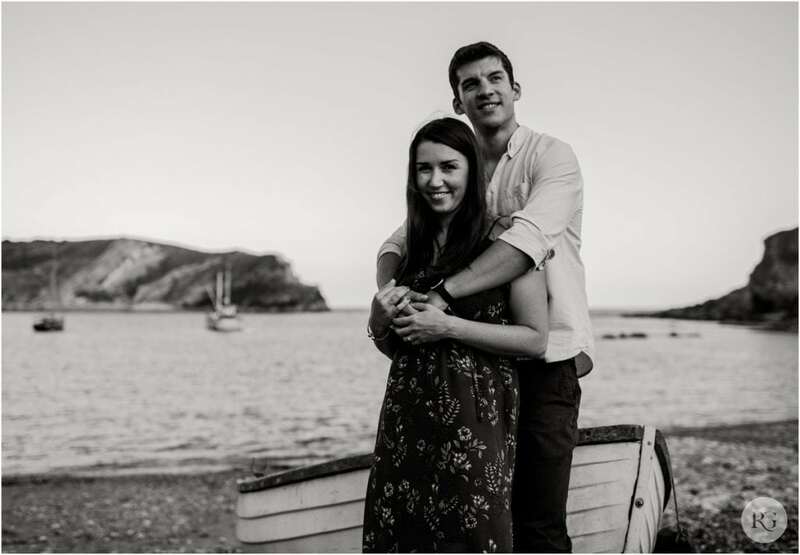 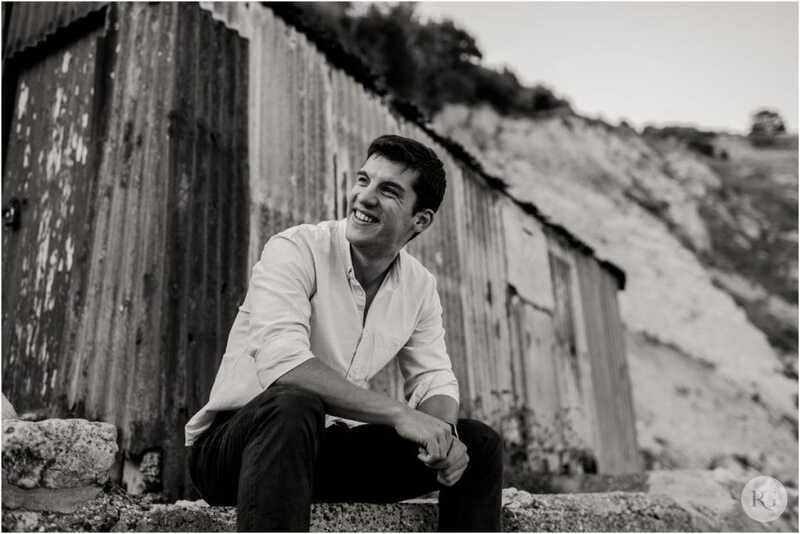 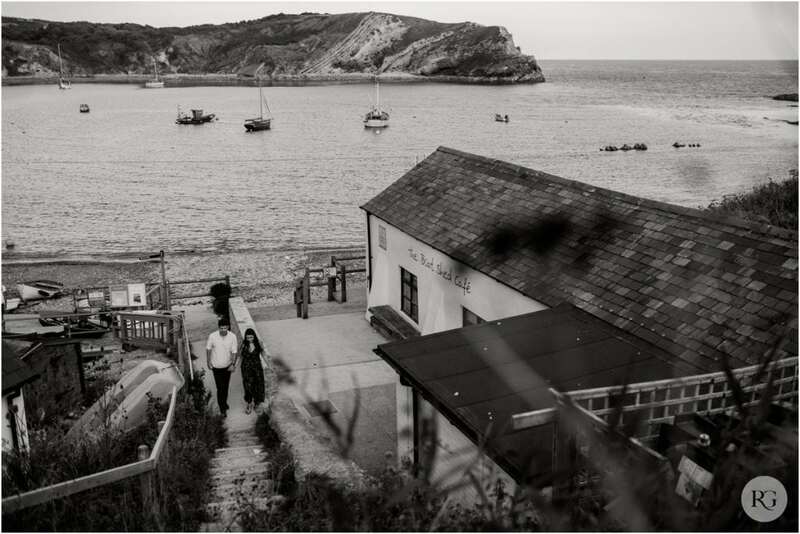 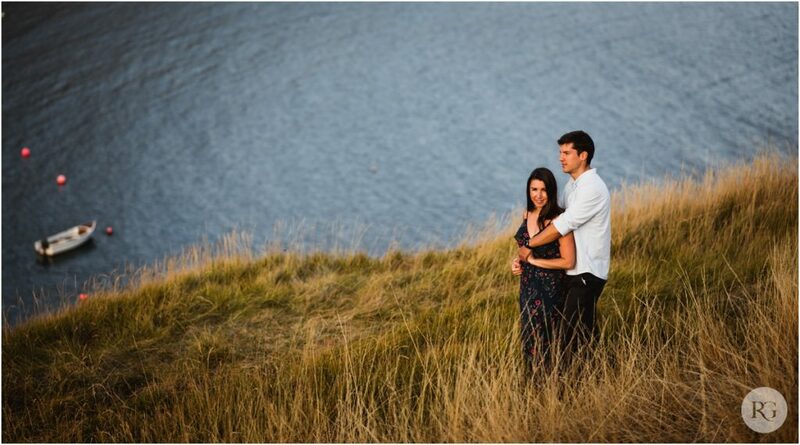 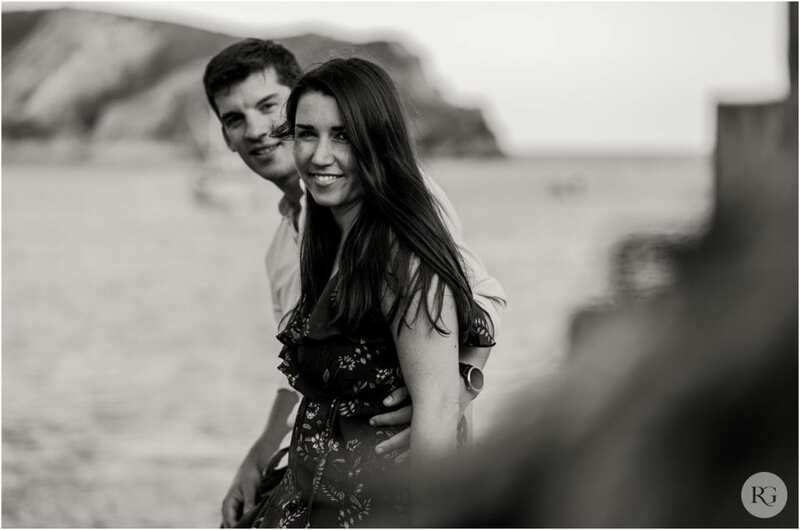 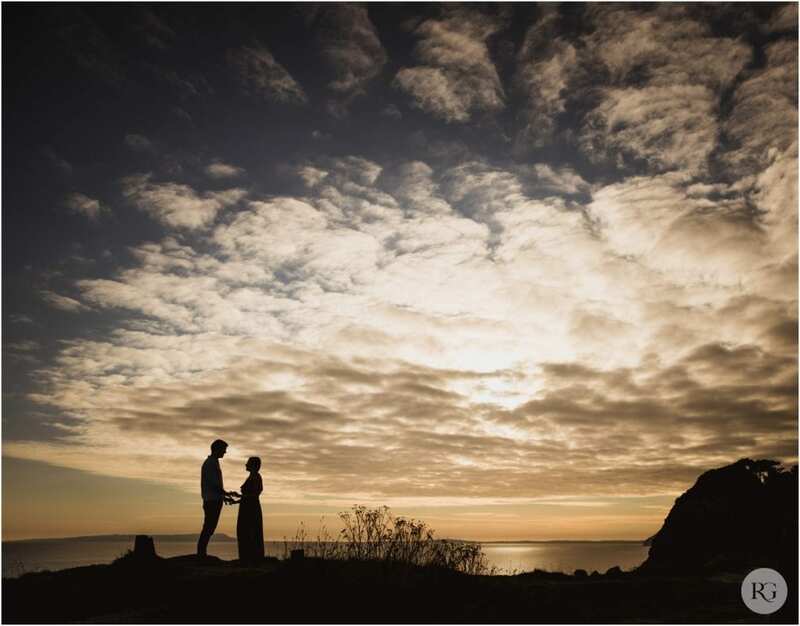 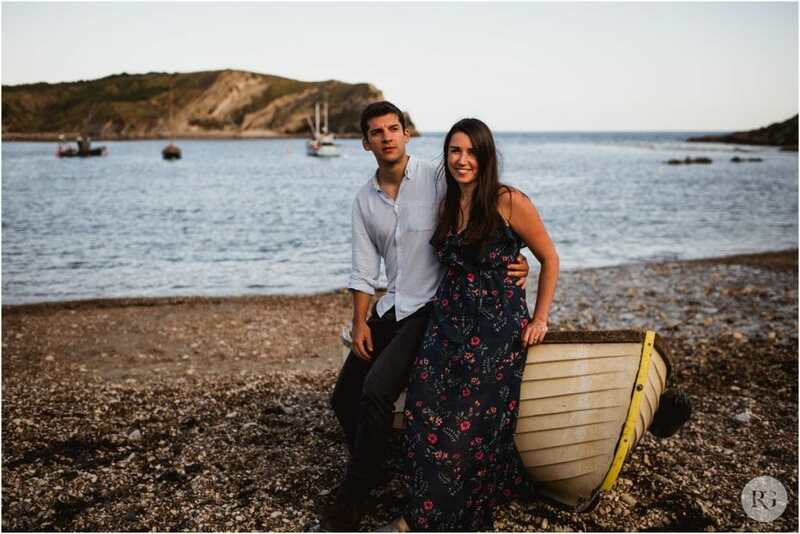 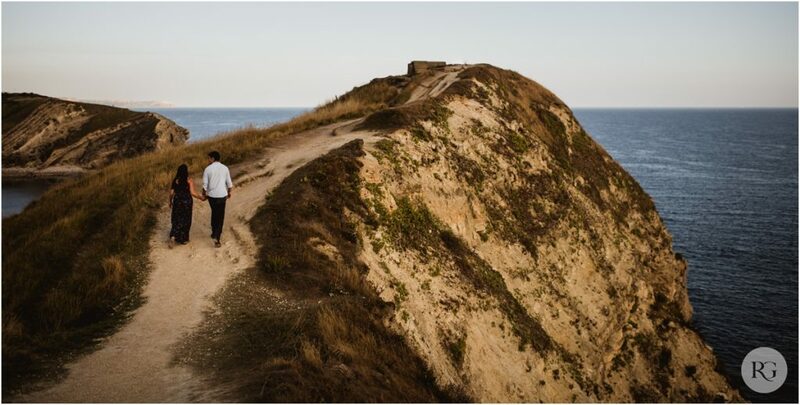 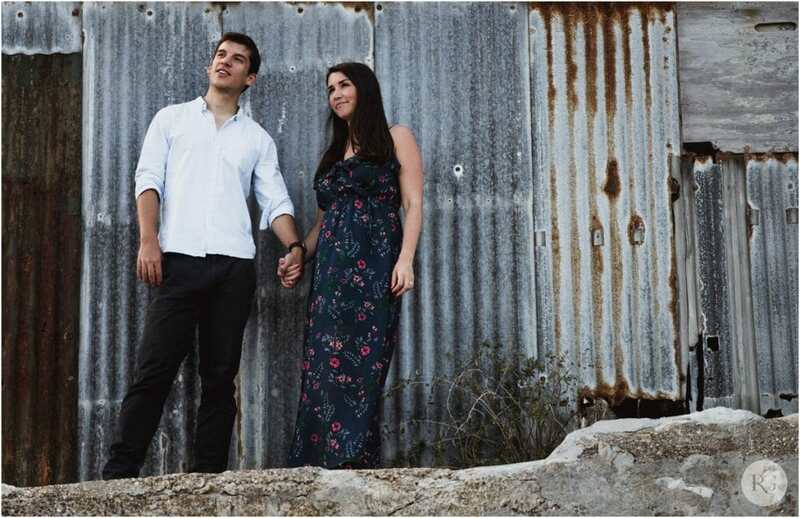 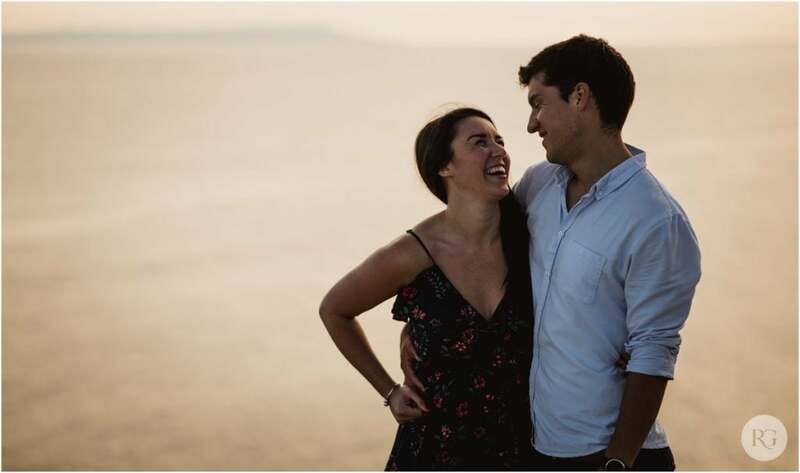 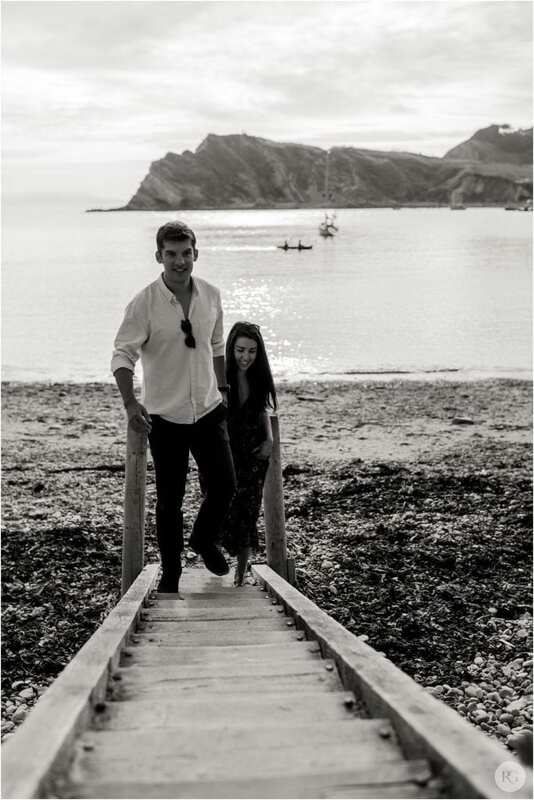 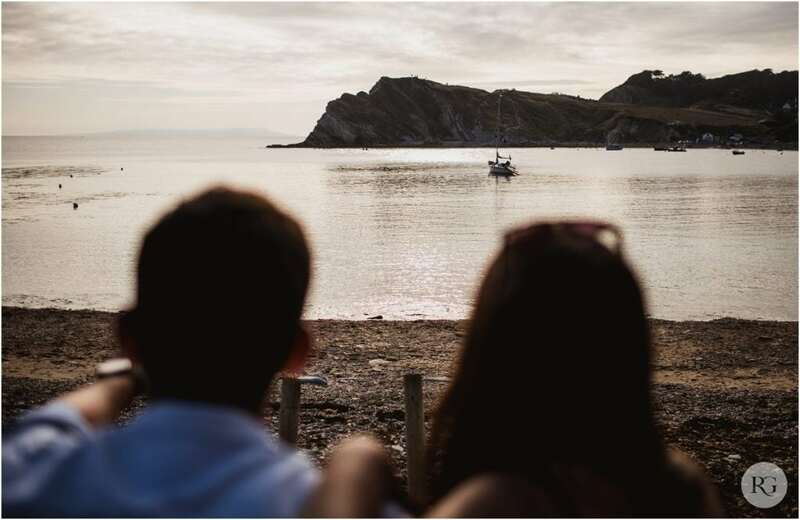 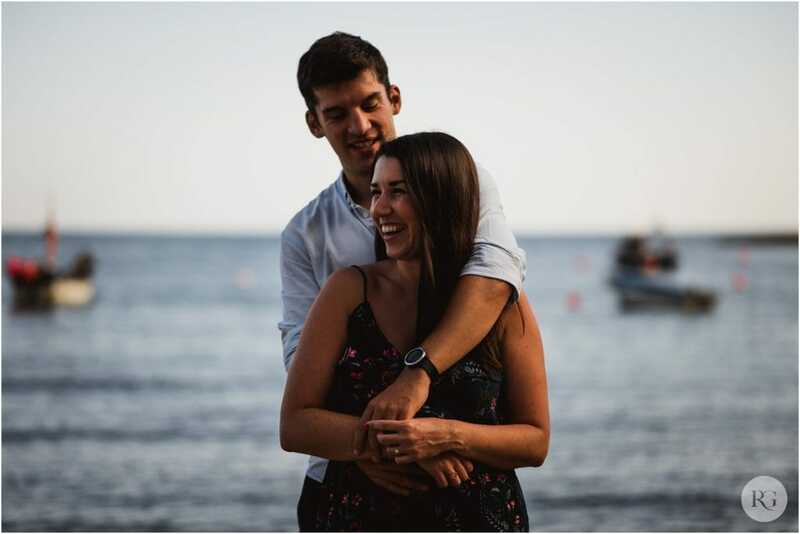 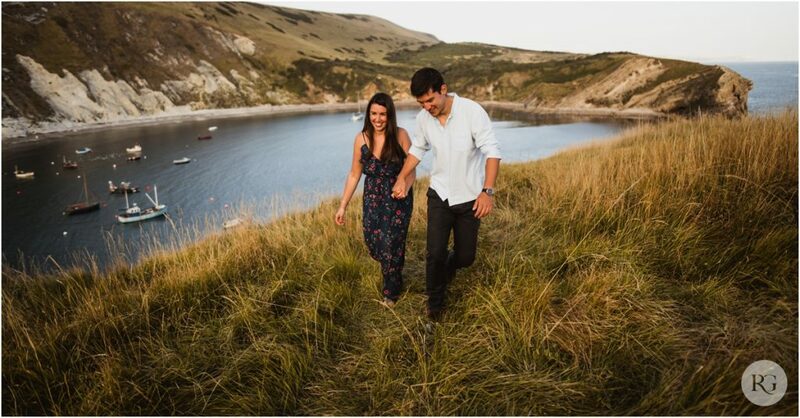 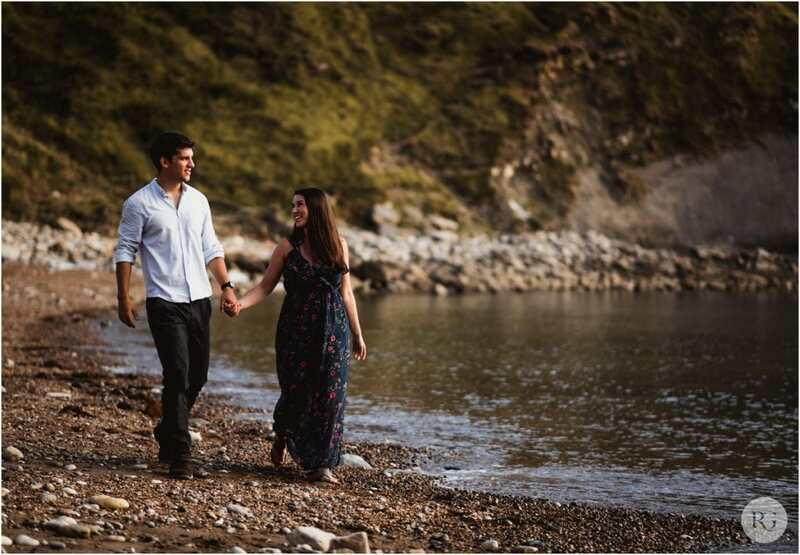 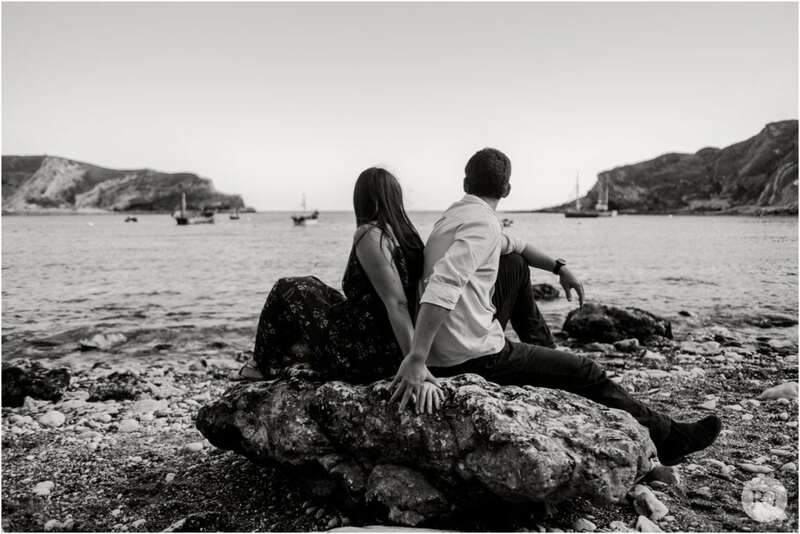 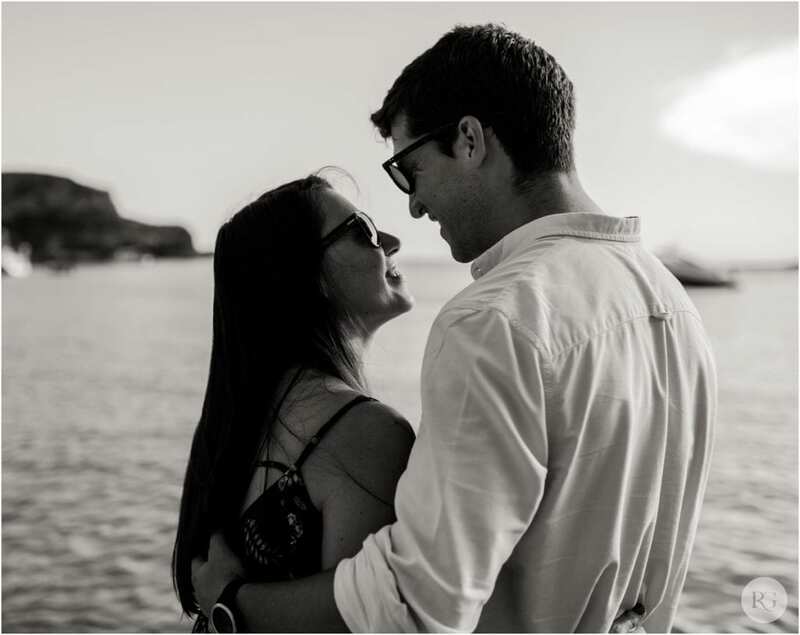 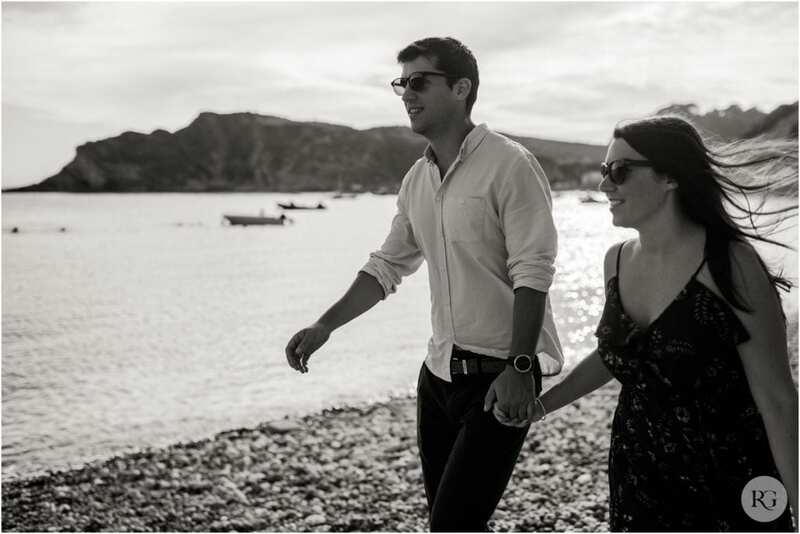 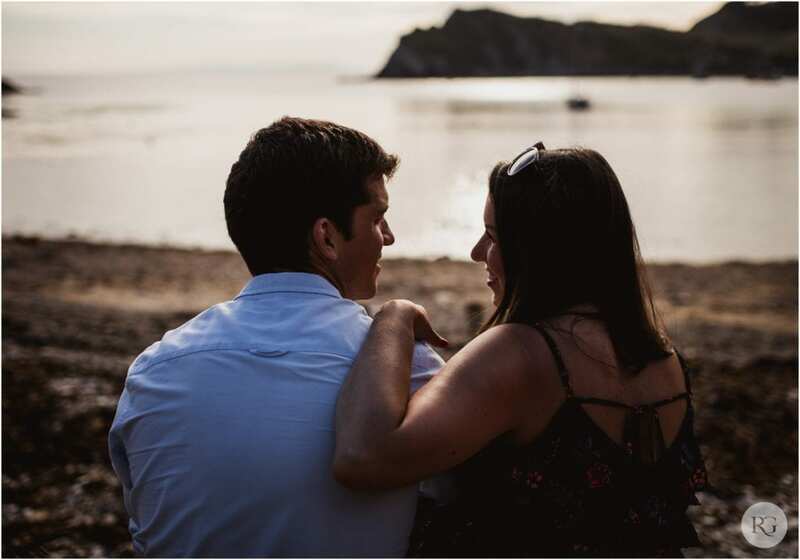 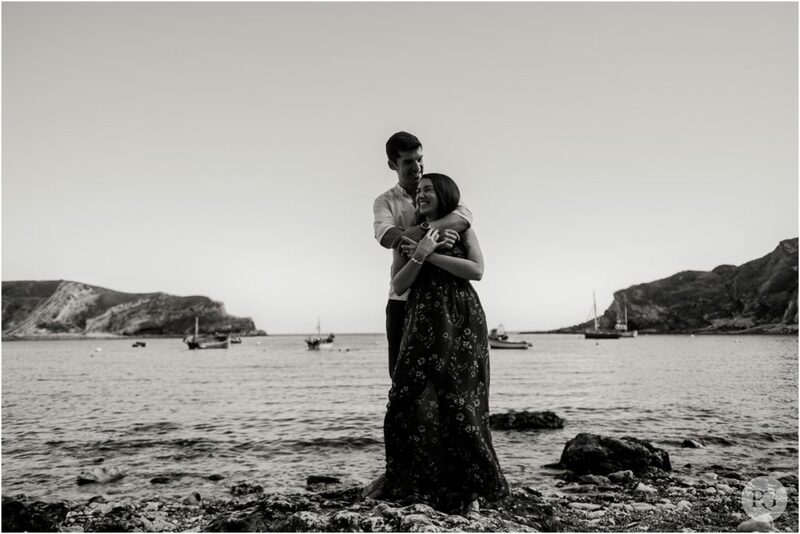 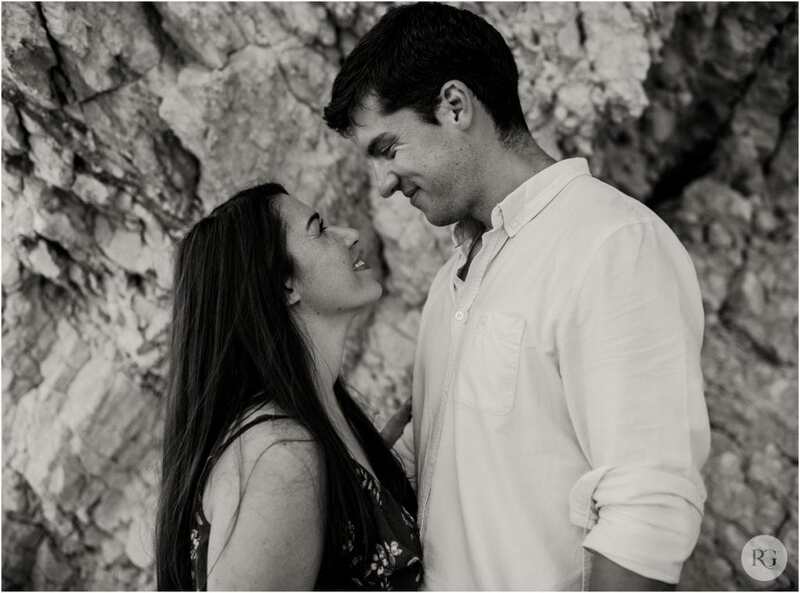 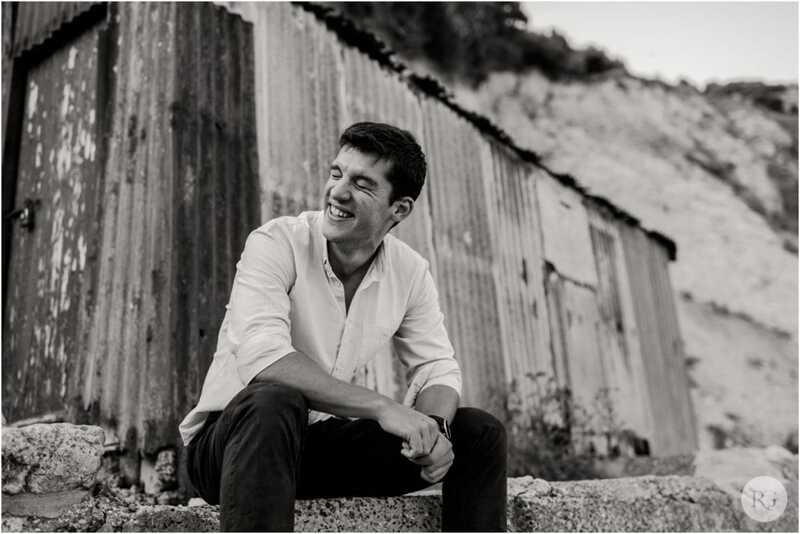 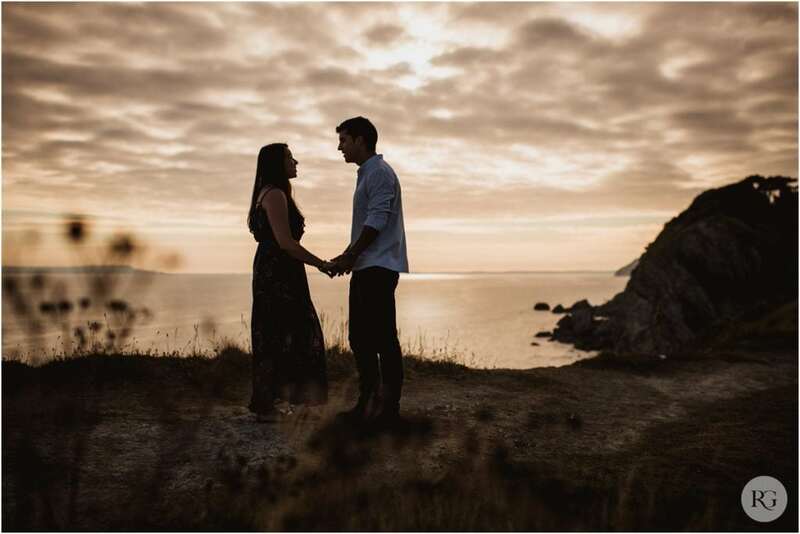 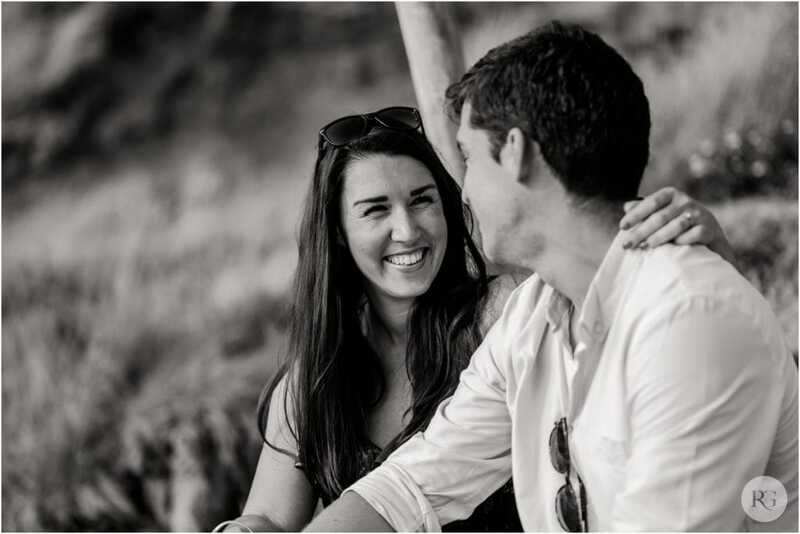 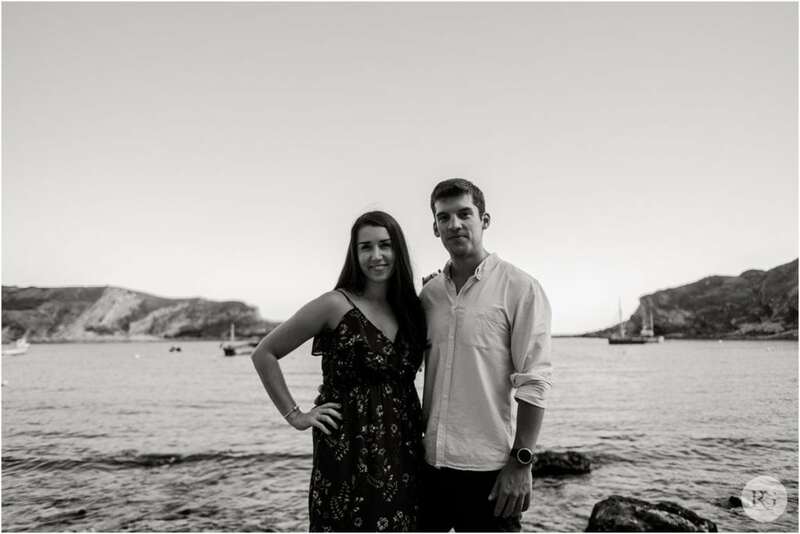 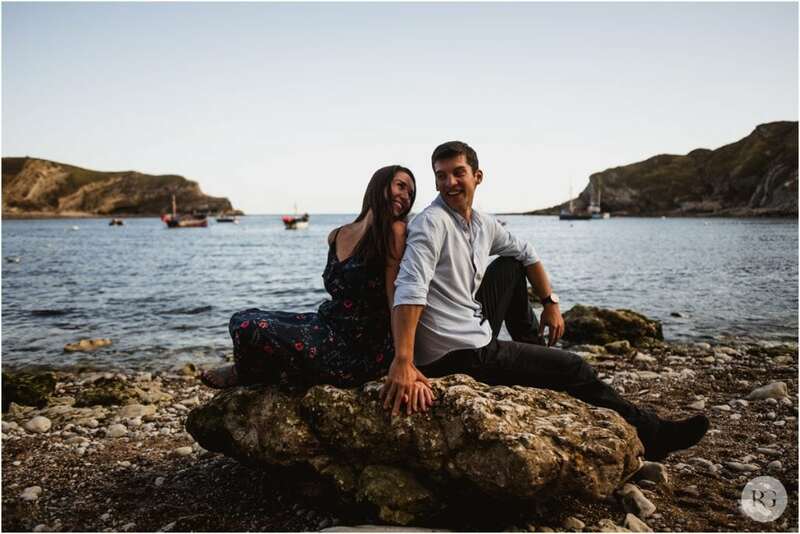 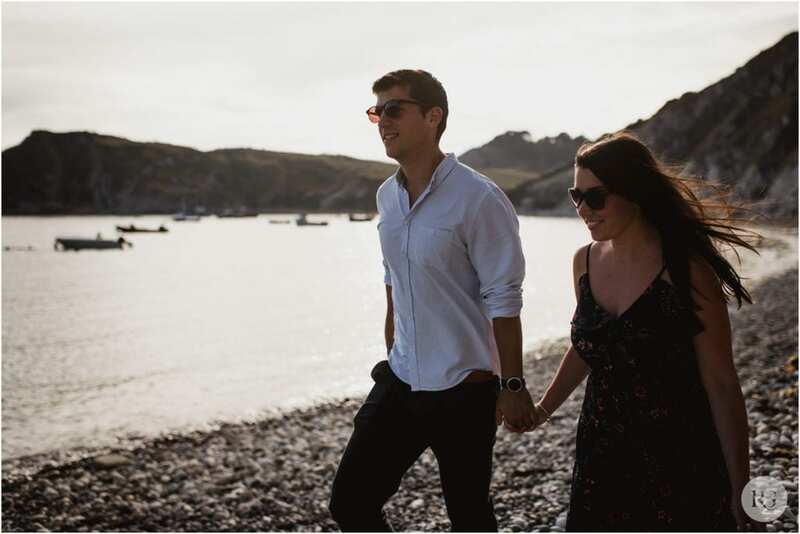 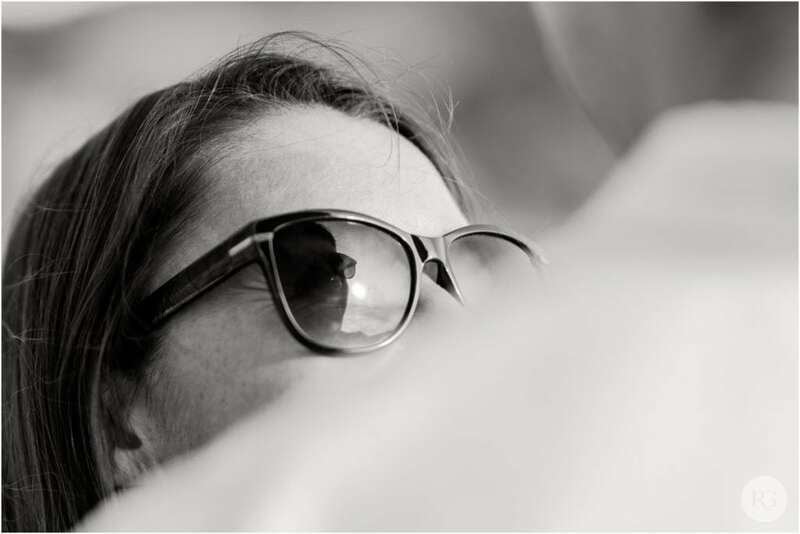 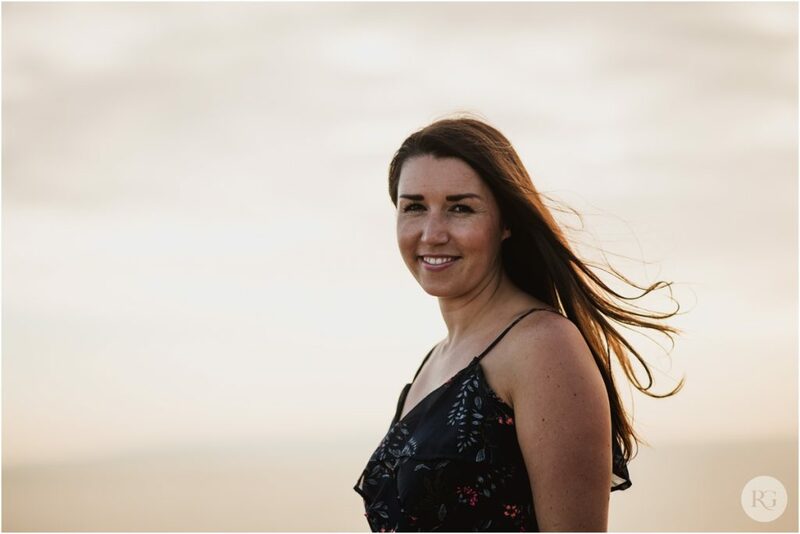 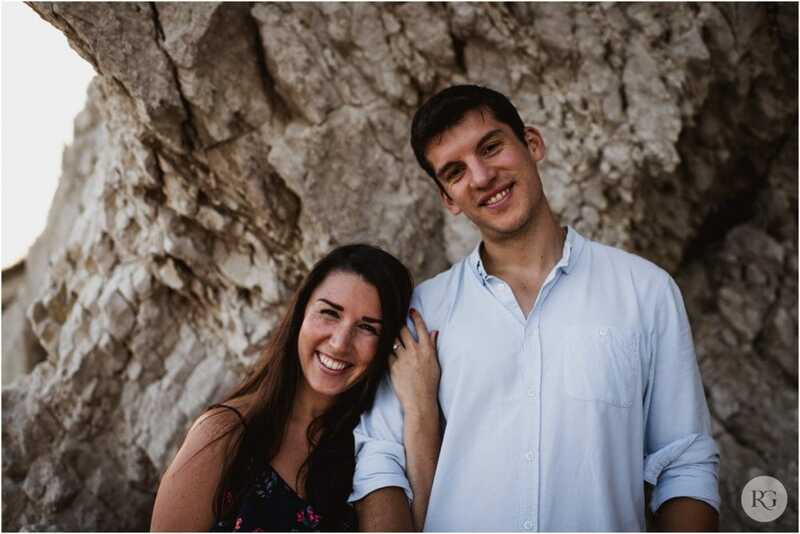 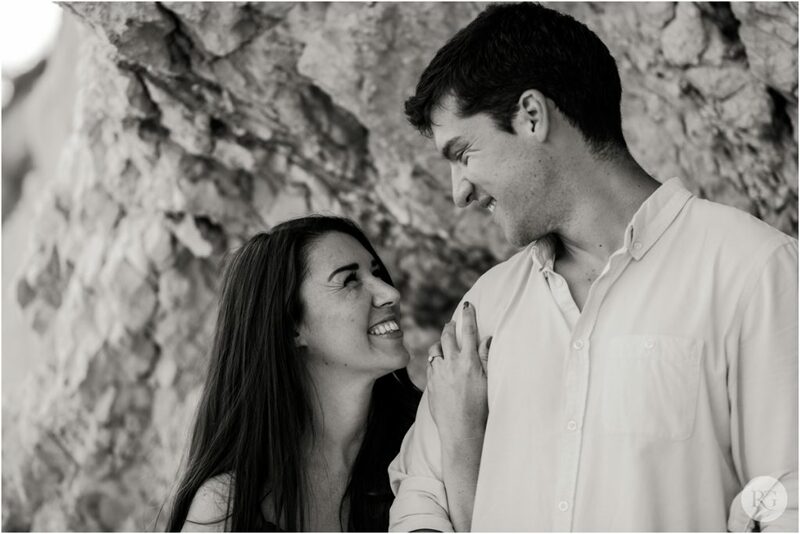 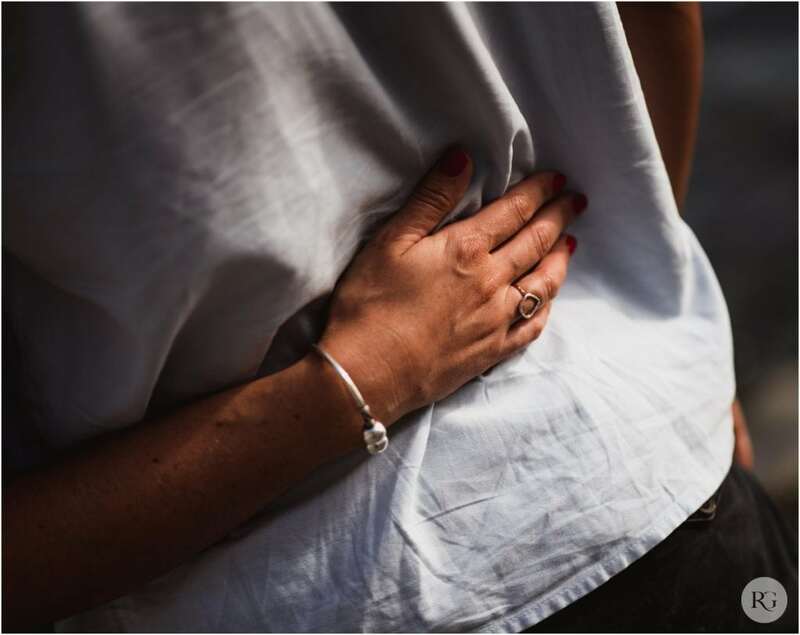 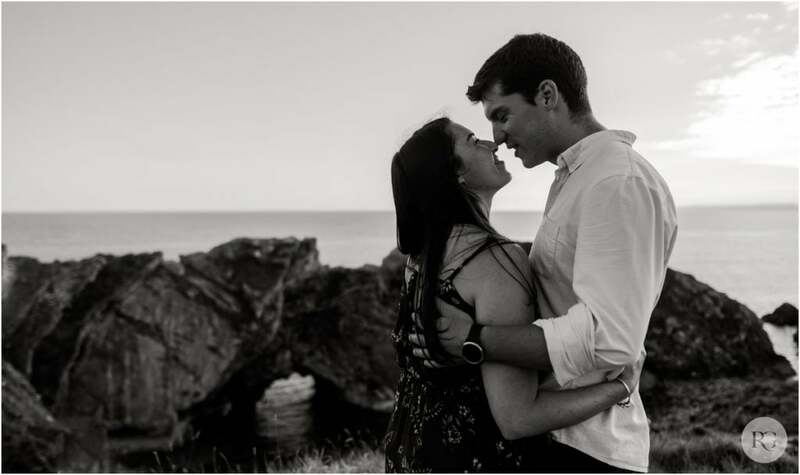 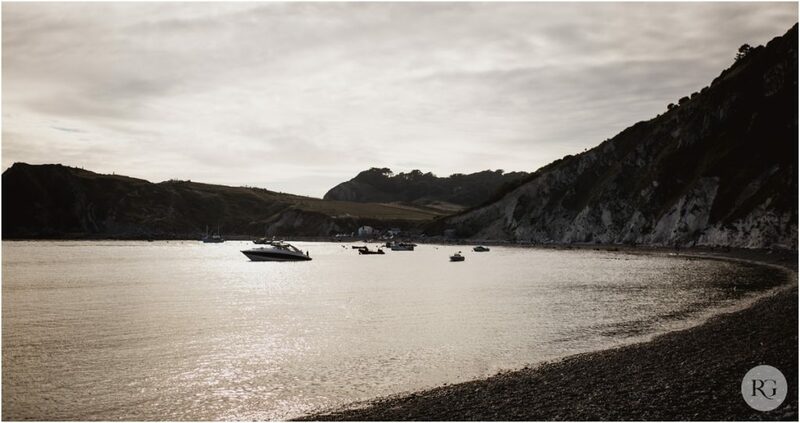 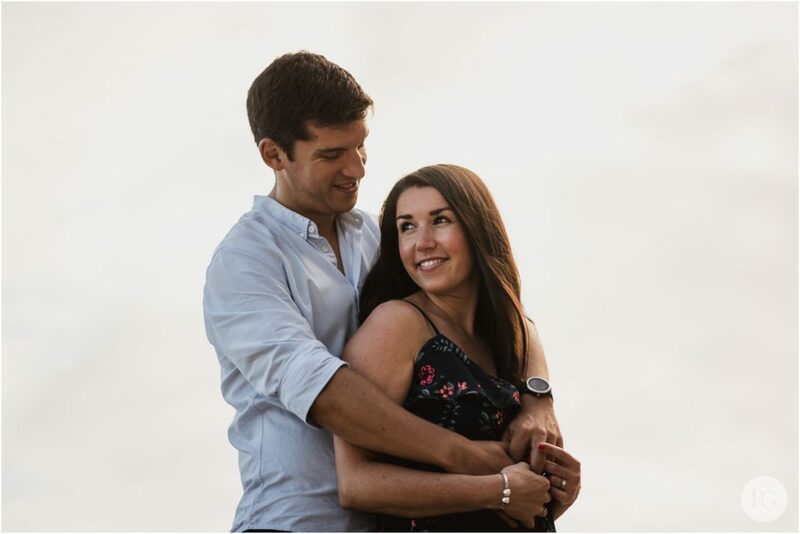 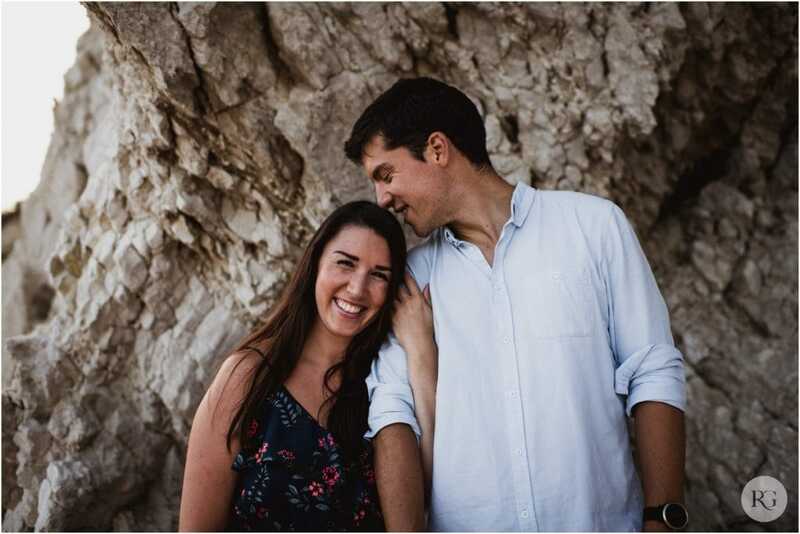 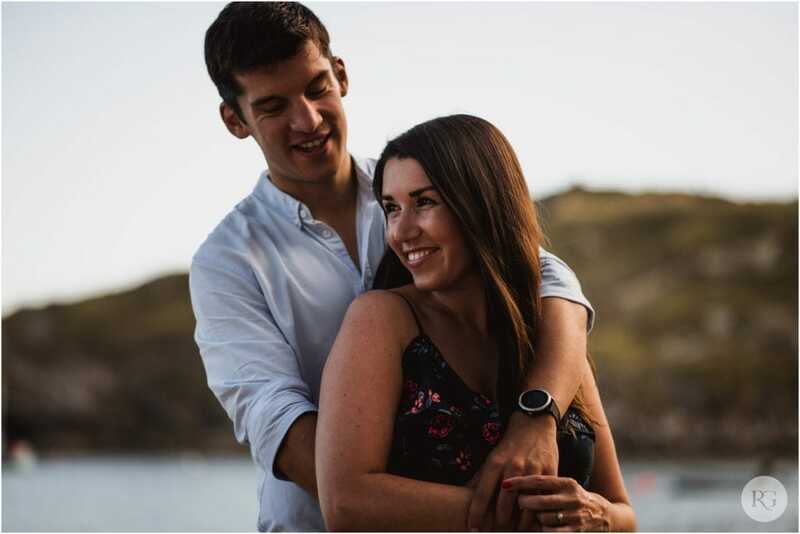 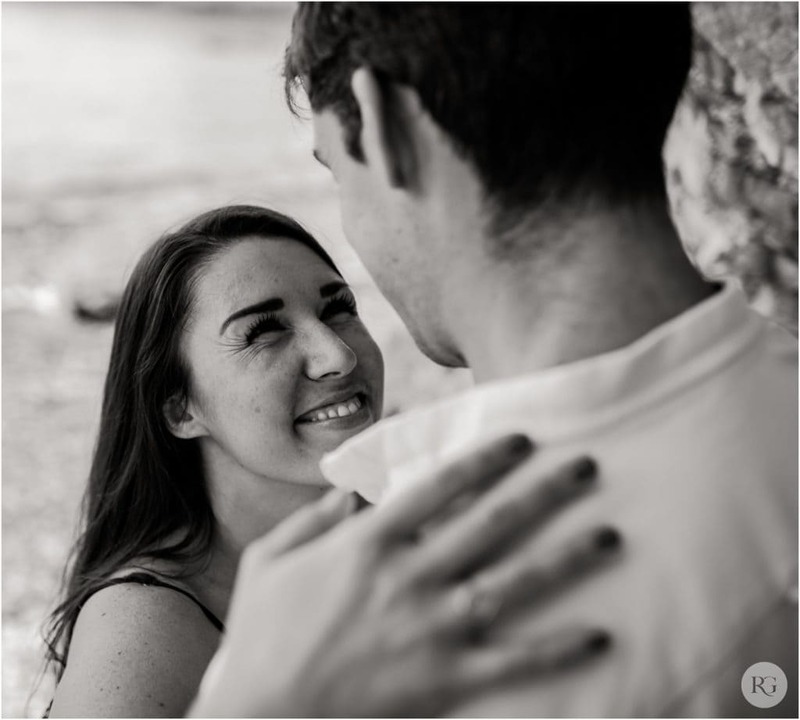 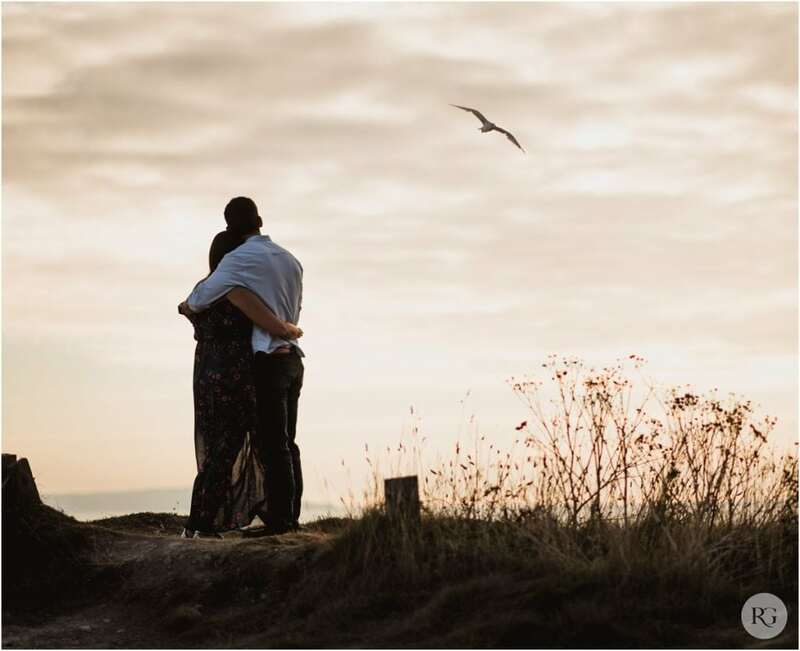 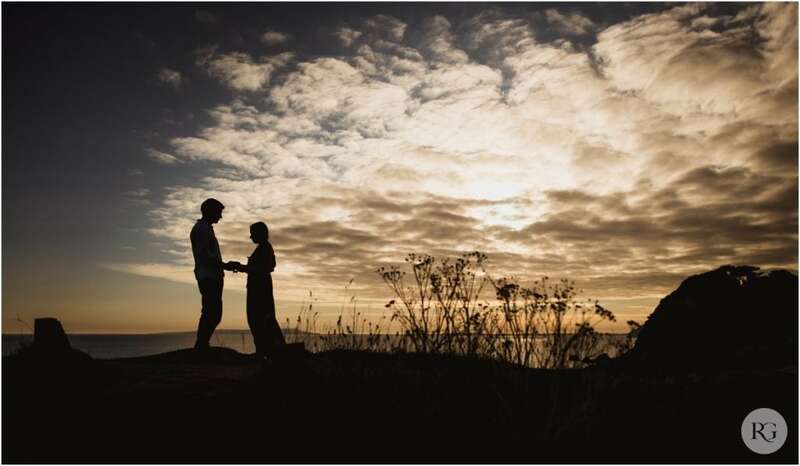 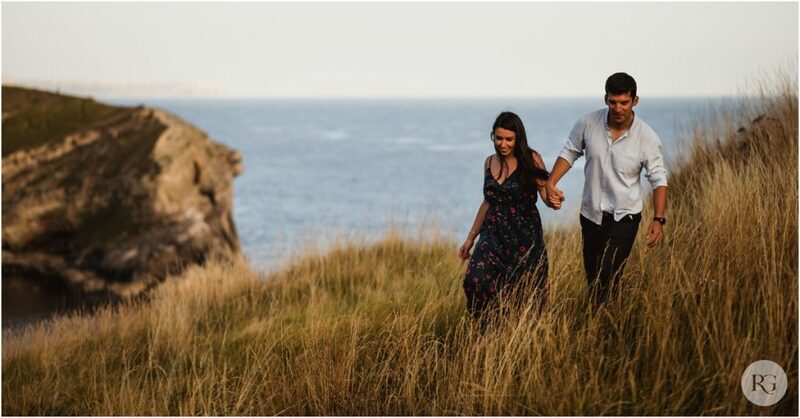 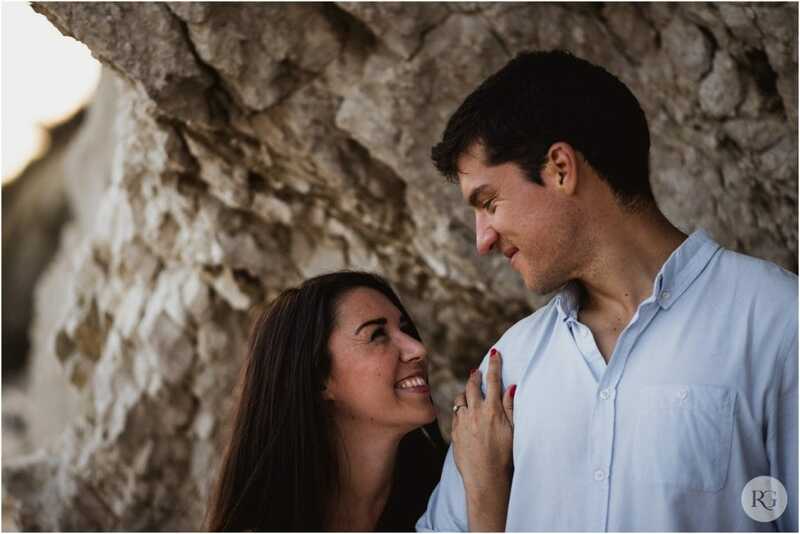 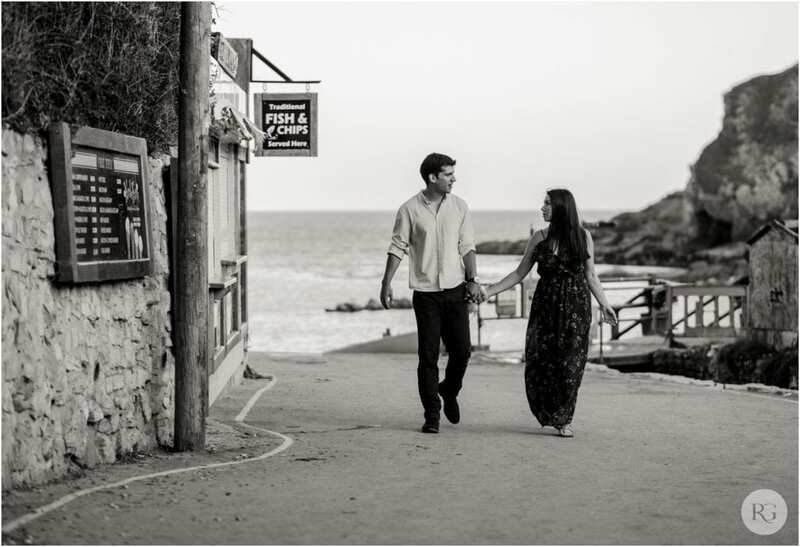 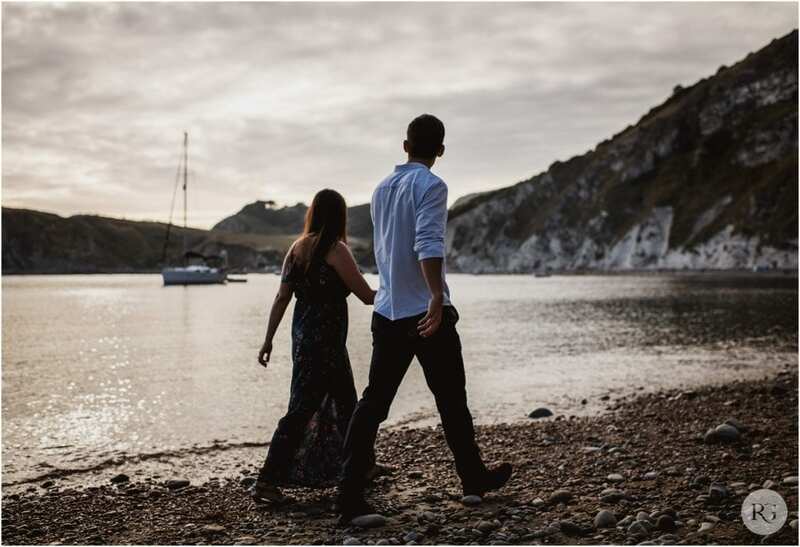 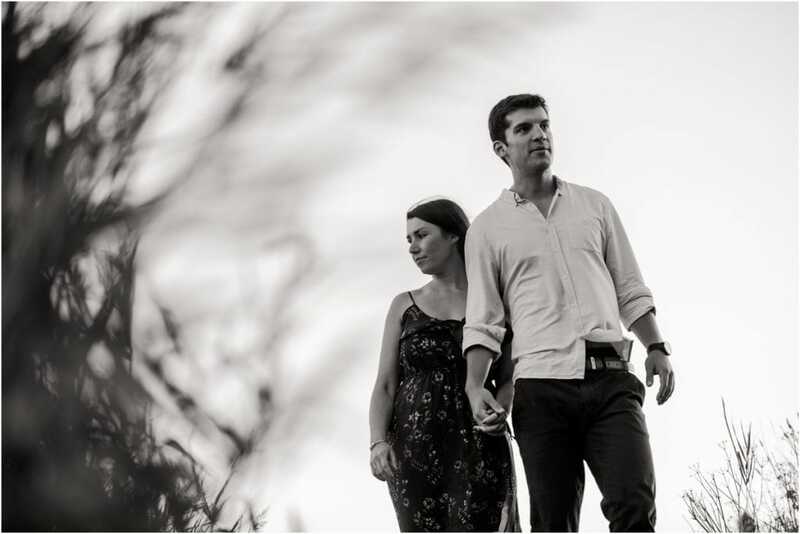 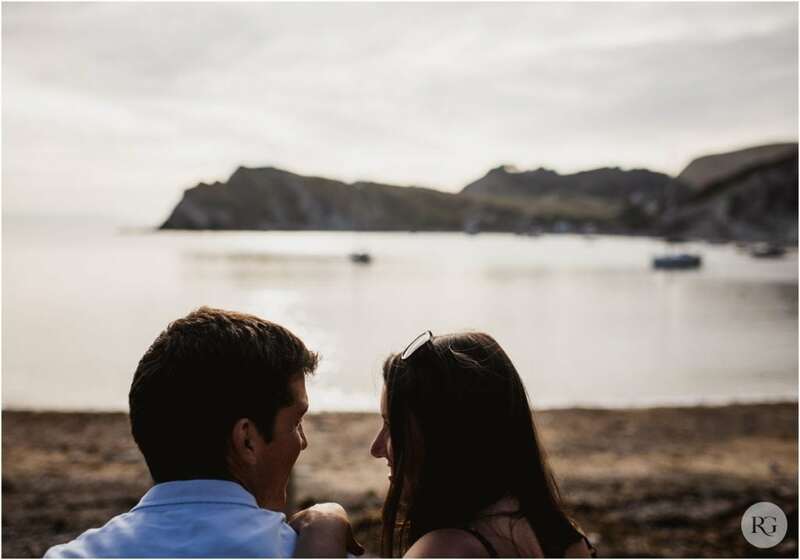 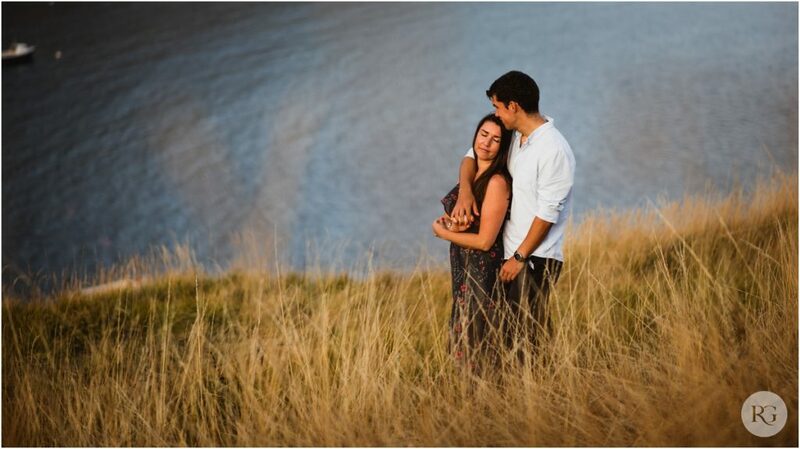 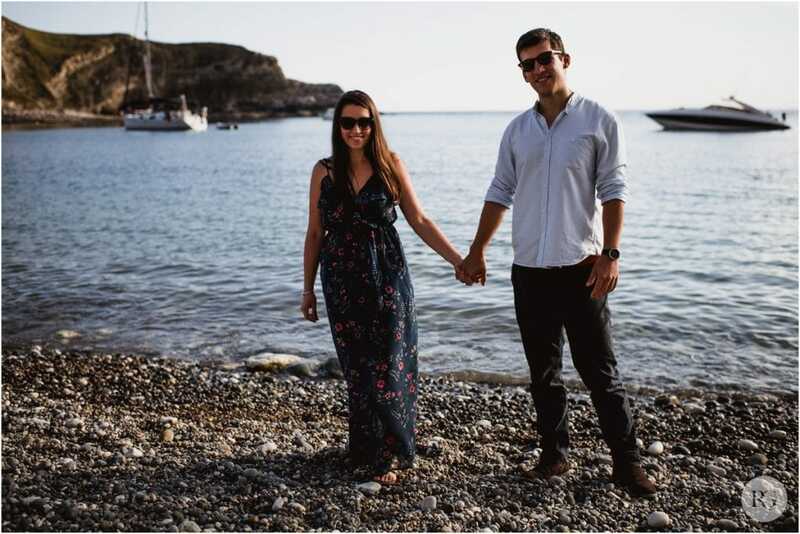 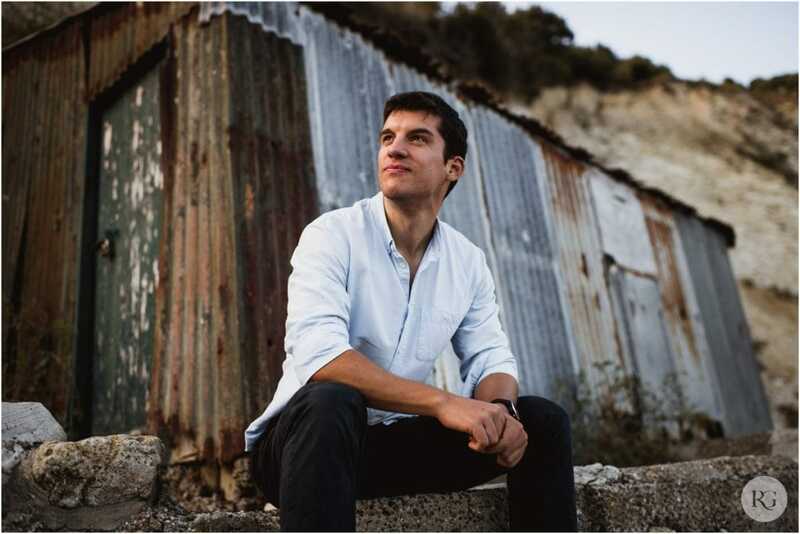 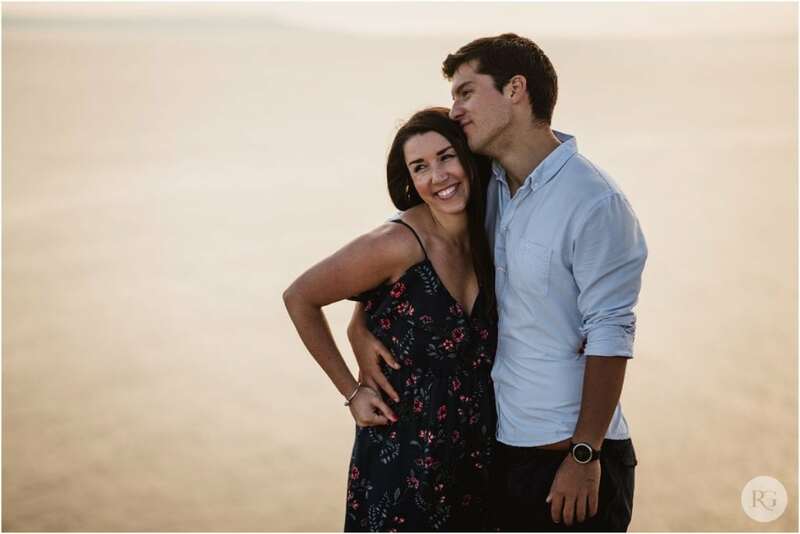 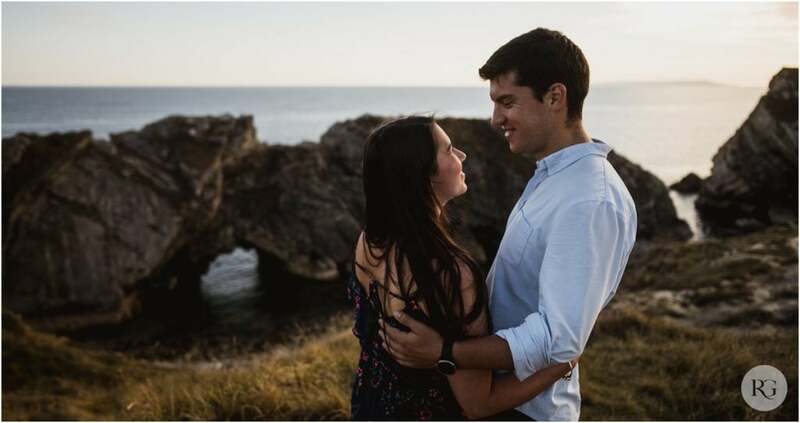 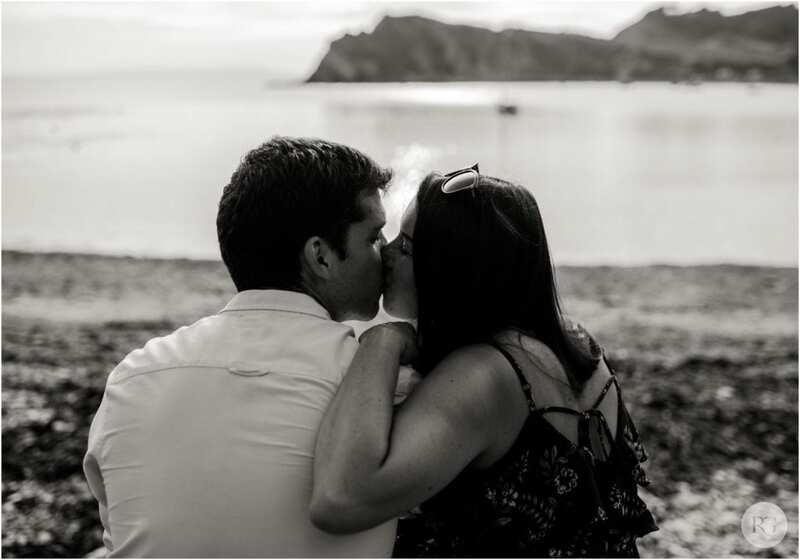 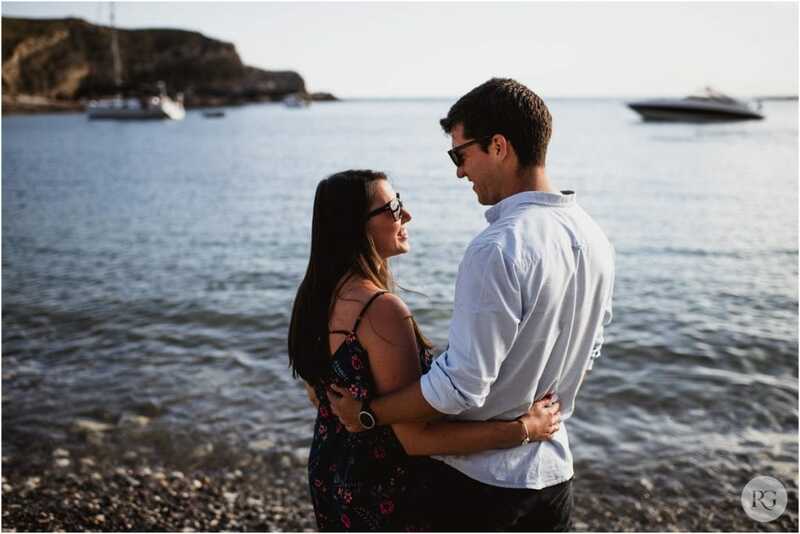 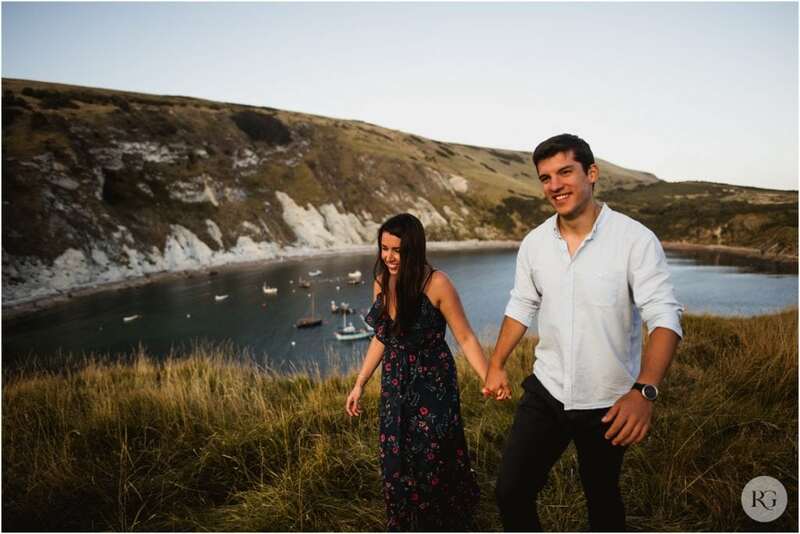 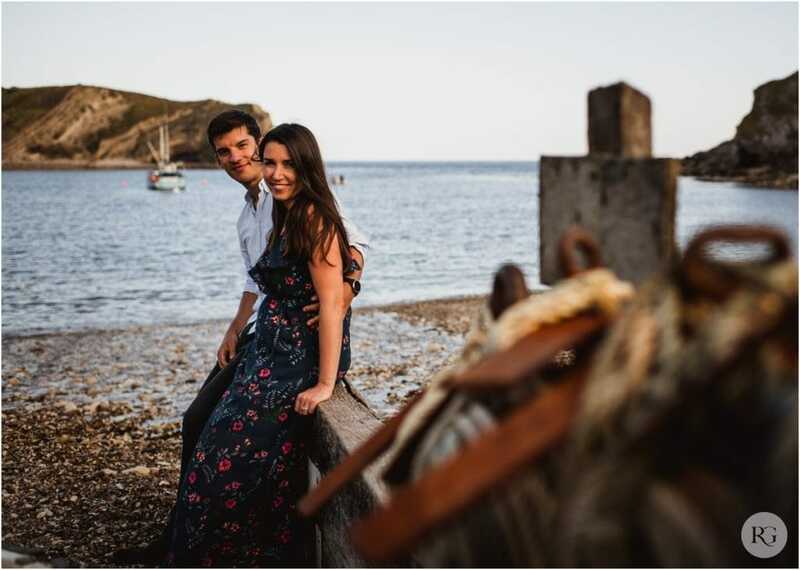 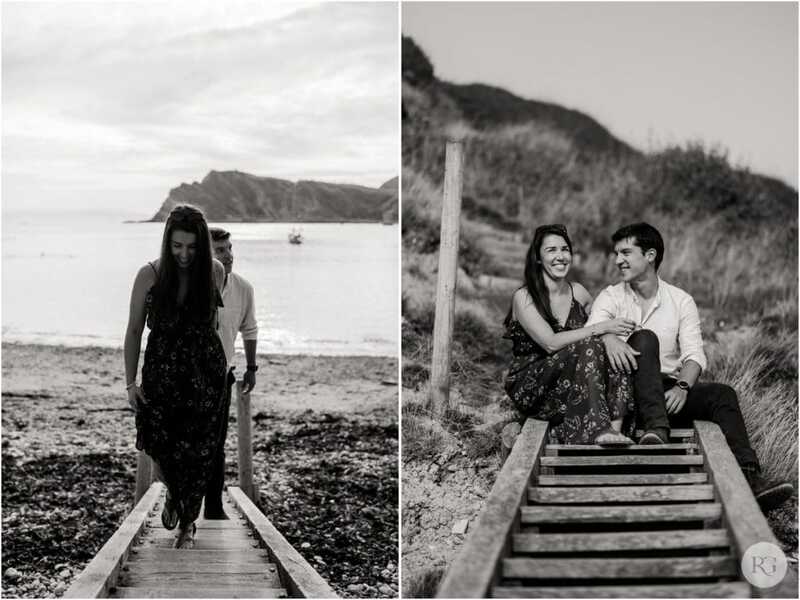 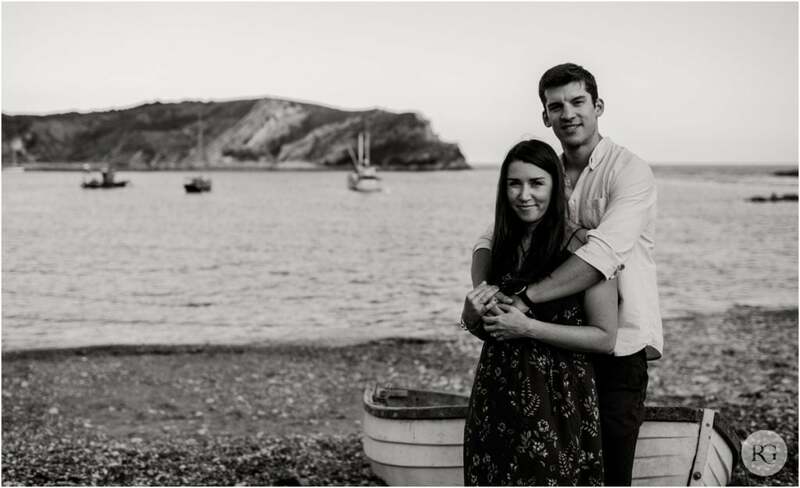 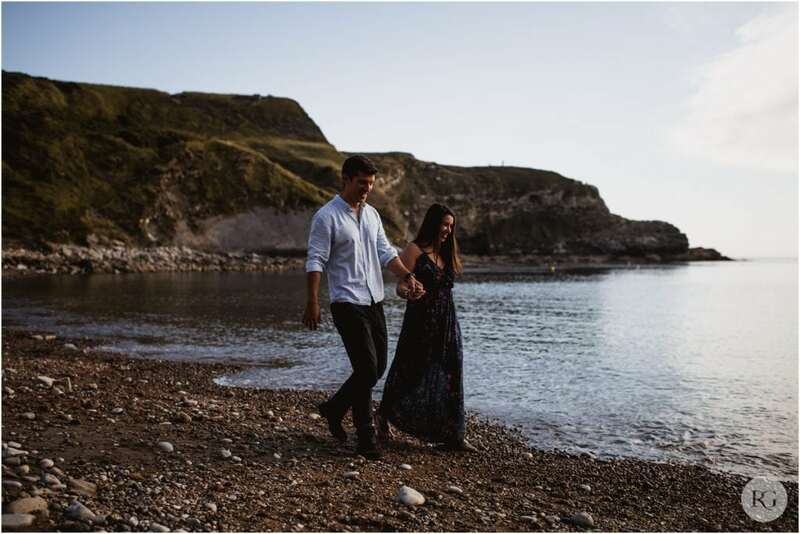 On a summer’s evening, or even a winter afternoon, Lulworth Cove in Dorset is the perfect place for an engagement shoot in preparation for your wedding photography. 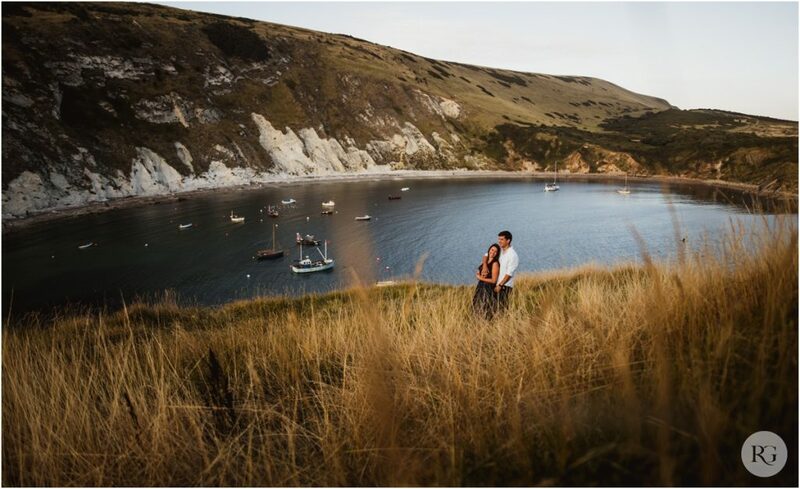 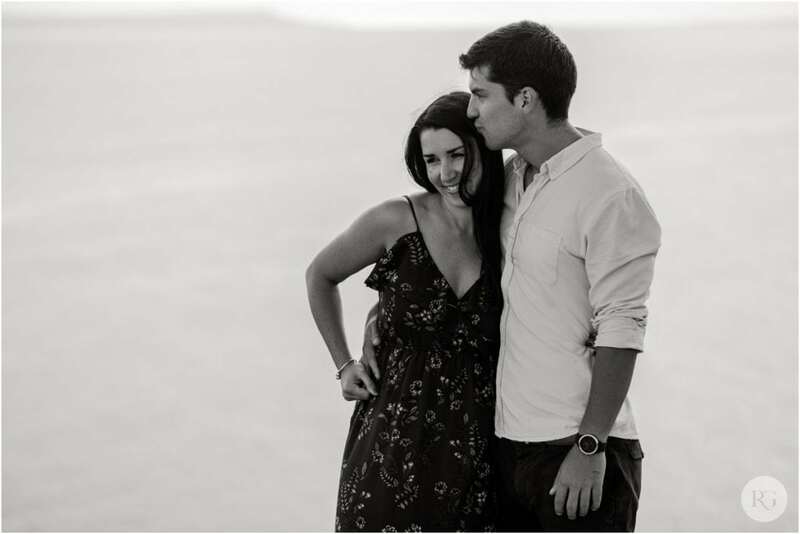 Nicola and Michael chose Lulworth as it was special to them, so we headed down there one September evening. 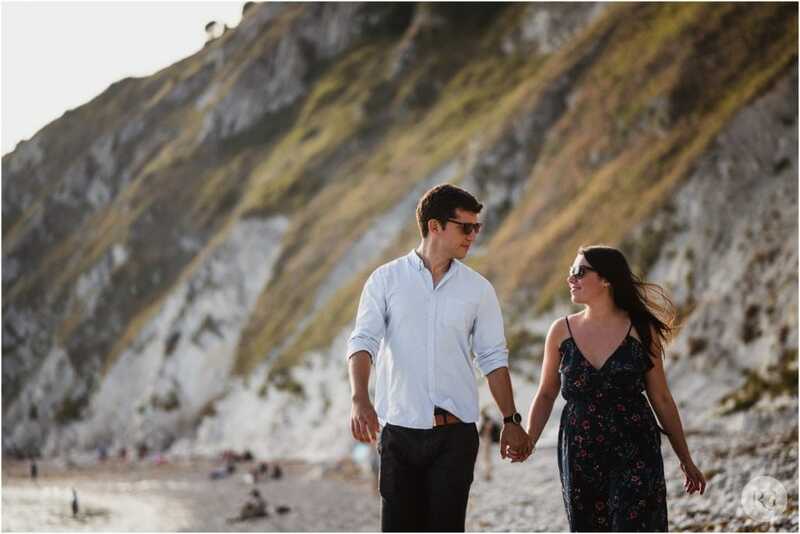 With the white pebble beach and the chalk cliffs, the perfect clear blue water, and the heartland to wander onto to watch the sun set, from the perspective of a photographer it really does have a huge choice of little locations, far too any to explore in one visit! 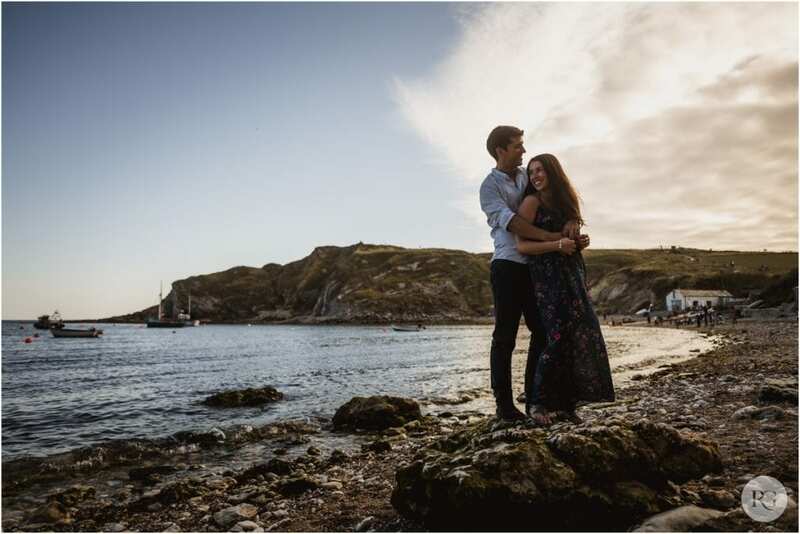 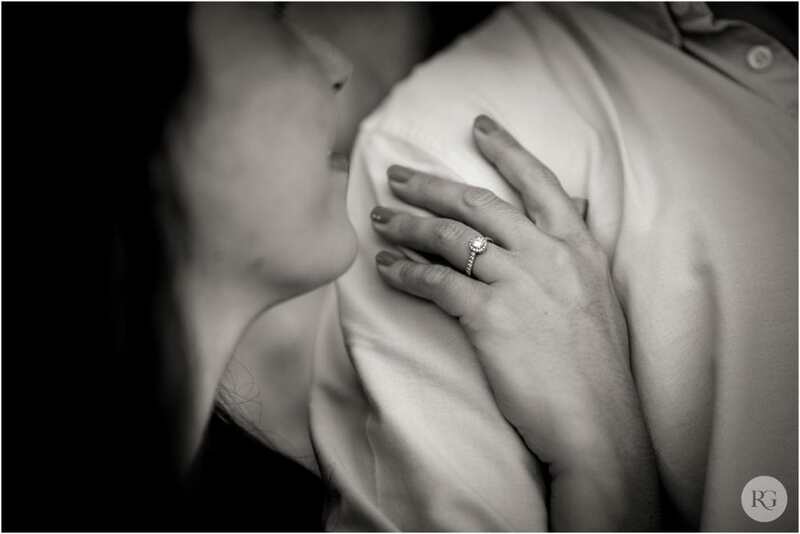 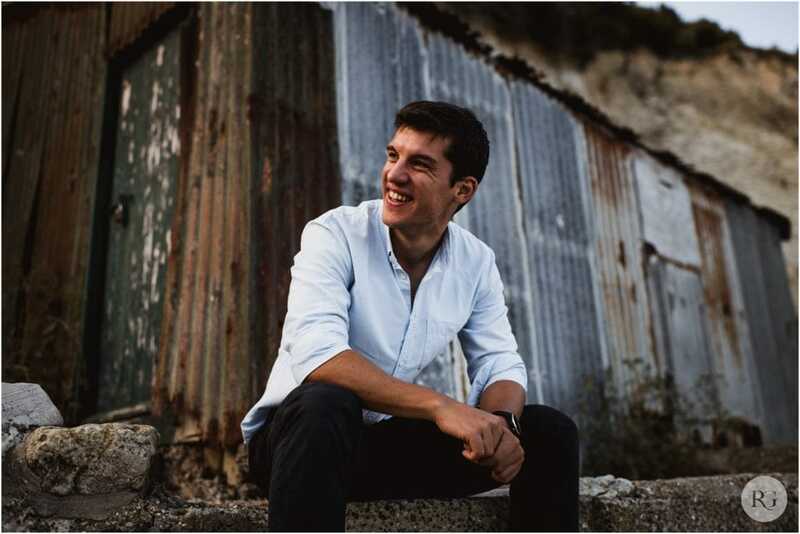 It is of course, only a pebbles throw from Lulworth Castle itself, and therefore easy to visit for some stunning evening shots on your wedding day.